We all know that an aftermarket exhausts gives your Subaru Impreza WRX STI that legendary boxer rumble! 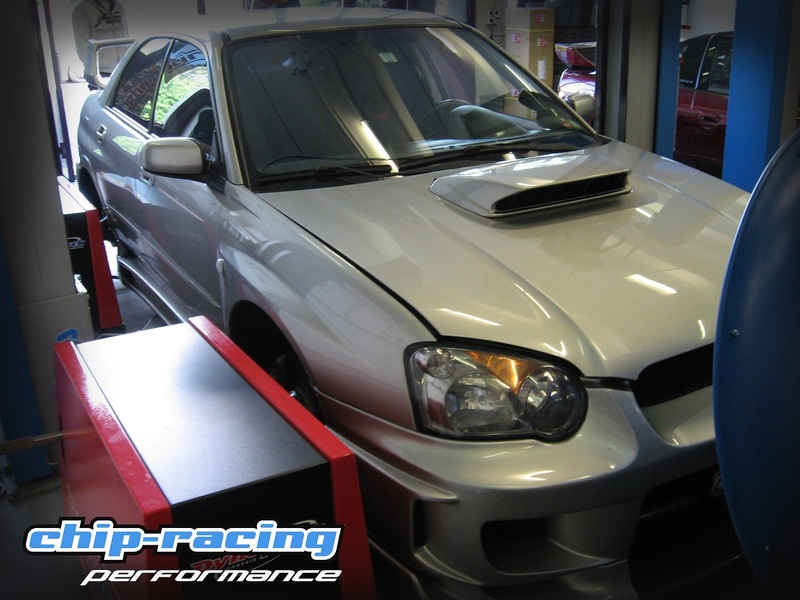 We had a entirely stock Subaru Impreza STI strapped onto our Dynapack dyno to set a baseline. Afterwards we installed the complete Maxspeed Exhaust and did some more testing! We surely all know, that a exhaust with increased inner diameter increases the engines output. But what are the reasons for such gains? Thanks to the lowered backpressure in the exhaustsection the turbo has a easier life and needs less exhaustgases to spool up. 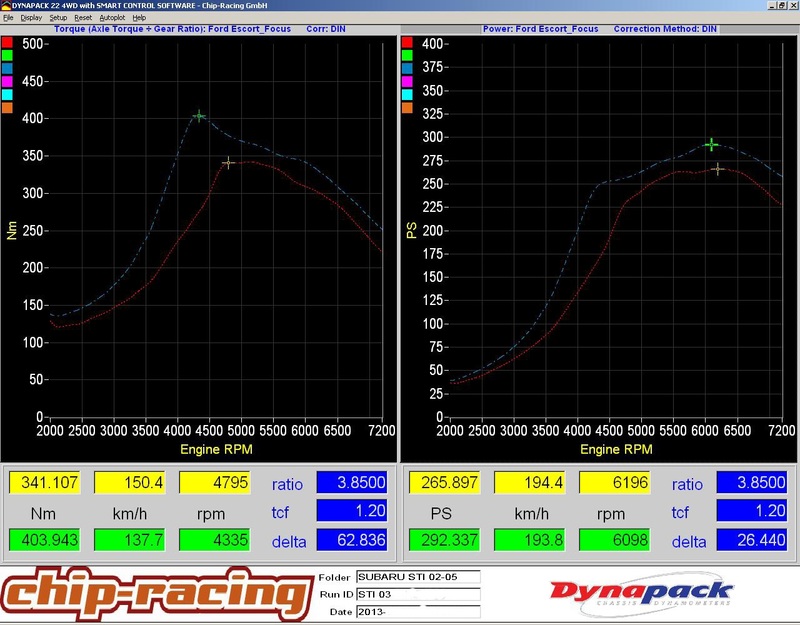 This results in higher boostlevels at lower RPM’s creating more torque at lower RPM’s. On our testcar, peak torque is achieved 400RPM’s earlier than stock! The overall power and torque gain is caused by the overall raised boost pressure. Another effect that comes along with the lower backpressure. We see, less backpressure offers many benefits! A drawback of such exhausts is that on many cars the reduced backpressure causes the boost to overshoot. We didn’t notice that issue on our testcar, but it’s a common problem. The ECU messures the boostlevel and if it is too high it will automaticly try to lower it to it’s preset level. In most cases the ECU lowers the boostlevel slightly under it’s preset value, causing it to readjust the boost again. This results in a unharmonic feeling with the engine not running smoothly. This issue can be solved easely by calling your local tuner and get your car mapped!